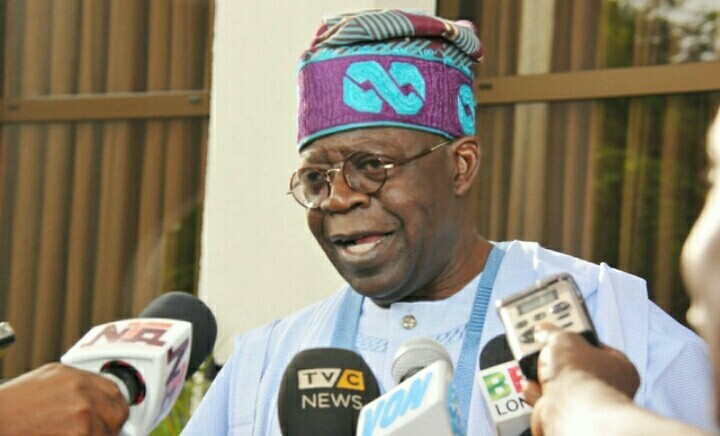 Bola Tinubu, the national leader of the All Progressive Congress (APC) has stated why he has endorsed another candidate to govern Lagos State instead of the present governor. Mr Tinubu who brought the incumbent governor, Akinwunmi Ambode, said the governor has deviated from the master plan of the state hence the need for his replacement. The APC Chieftain stated this in a statement he signed on Sunday. This comes less than 24 hours to the governorship primary of the party billed to hold on October 1, 2018. Emerging Mr Ambode’s major opponent in the primary is Babajide Sanwo-Olu, who have served various administrations in the state including the present one. Messrs Ambode and Sanwo-Olu are two leading contestants seeking to emerge the candidate of the APC in Lagos State. Tinubu said he was supporting Sanwo-Olu because the candidate is reliable and well-conceived for future development. While our party is young, it has grown fast and has travelled far in a short time. This speaks well of the character of you, the party’s rank-and-file members. What, in other nations, has taken political parties generations to achieve, we have done in a few brief years. No other party in Nigeria dare attempt what we have already dedicated ourselves to do. I thank and commend all APC members and all Lagosians who have lent their support to this historic and humane mission upon which our party has embarked. We are democrats in the truest sense of the word. As such, we forever search for what is good and right for the people. With this ideal as our guide, tomorrow’s primary cannot be shaded by selfish ambition or the perceived personal grievance between this or that person. Something much greater waits in the balance. What is at stake is nothing less than the future of the people of this state and how we can best maximise our collective destiny. By resort to direct primaries, the party places the people’s future soundly in their hands. I would be remiss if I did not make a few observations regarding the primary. My goal is and shall always be a better Lagos. To this objective, I have dedicated the greater part of my public life. Roughly 20 years ago, a corps of dedicated and patriotic Lagosians, put aside personal interests and rivalries, to put their minds and best ideas together for the good of the state. Out of this collaborative effort, was born a master plan for economic development that would improve the daily lives of our people. Bestowed on me was the honour of a lifetime when I was elected to be your governor in 1999. My administration faithfully implemented that plan. The government of my immediate successor, Tunde Fashola, also honoured this enlightened plan. Where state government remained true to that blueprint, positive things happened. During my tenure and Governor Fashola’s, Lagos state recorded improvements in all aspects of our collective existence, from public health to public sanitation, from education to social services, from the administration of justice to the cleaning of storm and sewage drains. Businesses, large and small, invested, hired millions of workers and thrived. All Lagosians were to fully participate and justly benefit from the social dividends and improvements wrought by this plan. From the common labourer, to business leaders, to professionals and our industrious civil service. We all were to be partners in a monumental but joint enterprise. None was to be alienated. None was to be left out. And none were to be pushed aside. This is especially true for those who contributed so much to our development, whether as a business leader who has invested heavily in Lagos. The homeowner who struggles to pay his fair share of taxes or as someone employed in the hard work of keeping our streets and byways clean so that others may go about their daily tasks unimpeded. I am encouraged by the emergence of a candidate in this primary who has served the state in senior positions in my administration, the Fashola administration and even in the current one. While possessing a wealth of experience and exposure, he is a young man endowed with superlative vision and commitment. Most importantly, he understands the importance of the blueprint for development. He esteems it as a reliable and well-conceived vehicle for the future development of the state. He also knows the value of reaching out and working with others in order to maximize development and provide people the best leadership possible.